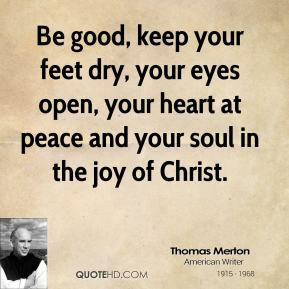 Be good, keep your feet dry, your eyes open, your heart at peace and your soul in the joy of Christ. 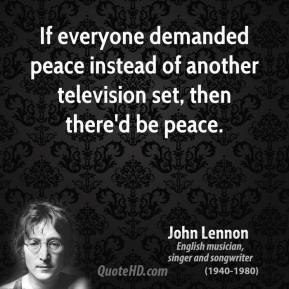 Some people suggest that the problem is the separation of powers. 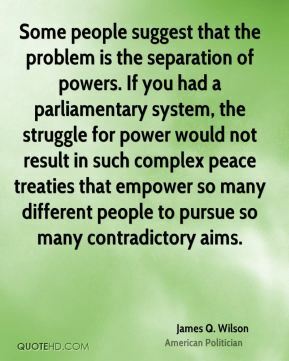 If you had a parliamentary system, the struggle for power would not result in such complex peace treaties that empower so many different people to pursue so many contradictory aims. 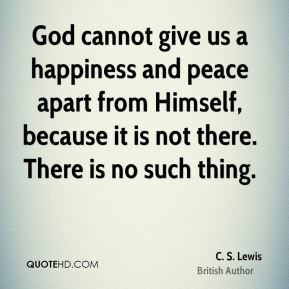 Peace of heart that is won by refusing to bear the common yoke of human sympathy is a peace unworthy of a Christian. 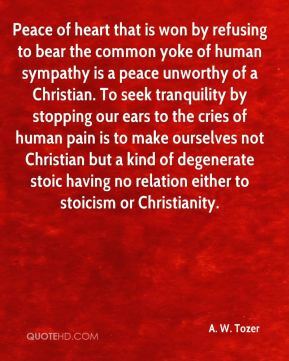 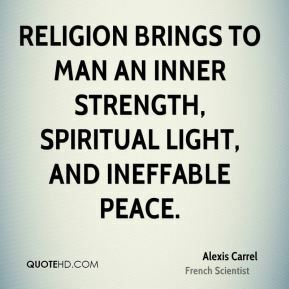 To seek tranquility by stopping our ears to the cries of human pain is to make ourselves not Christian but a kind of degenerate stoic having no relation either to stoicism or Christianity. 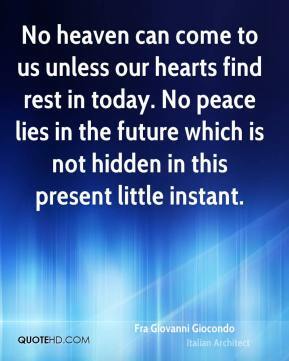 No heaven can come to us unless our hearts find rest in today. 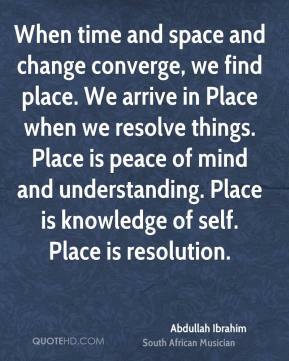 No peace lies in the future which is not hidden in this present little instant. 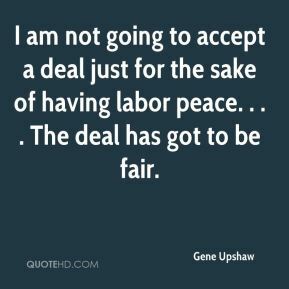 I am not going to accept a deal just for the sake of having labor peace. . . . 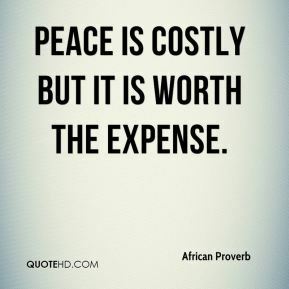 The deal has got to be fair. 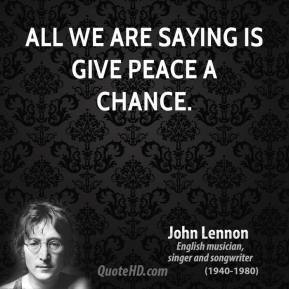 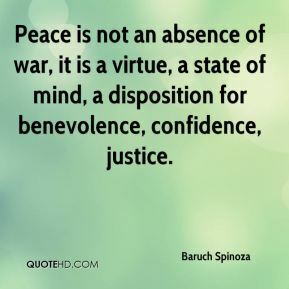 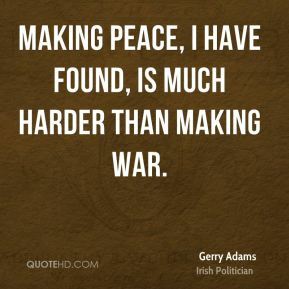 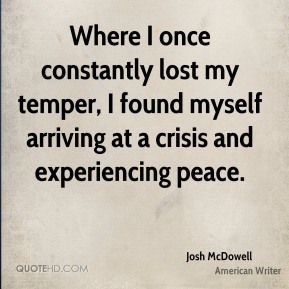 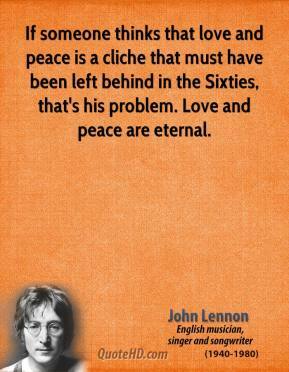 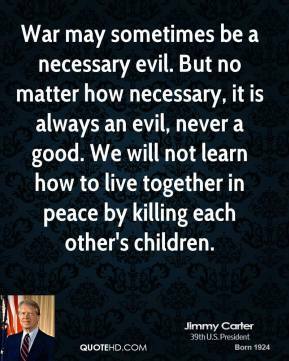 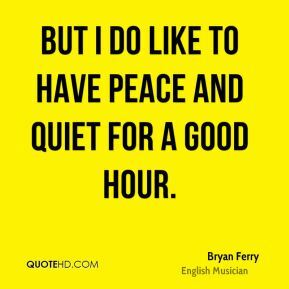 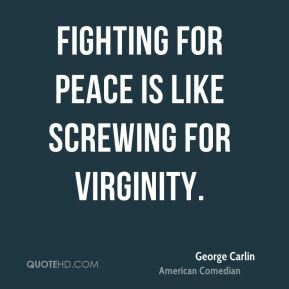 Making peace, I have found, is much harder than making war. 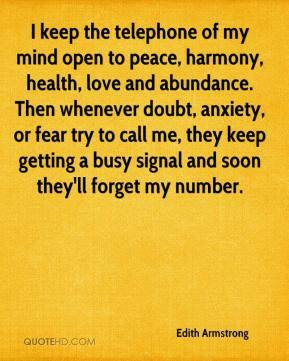 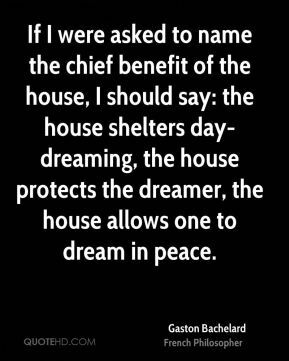 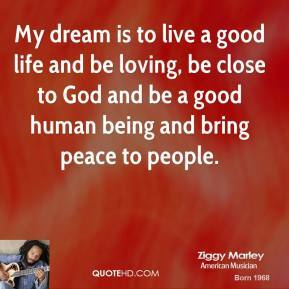 My dream is to live a good life and be loving, be close to God and be a good human being and bring peace to people. 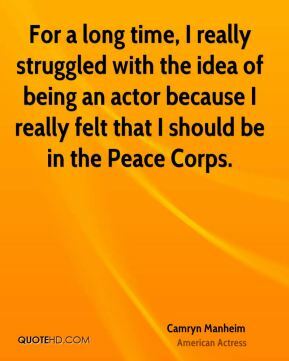 For a long time, I really struggled with the idea of being an actor because I really felt that I should be in the Peace Corps. 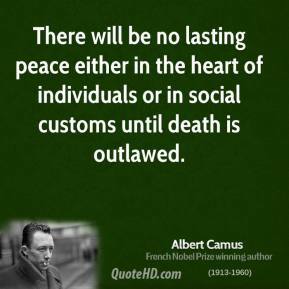 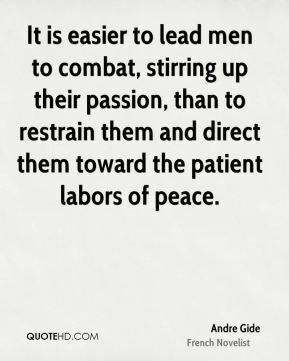 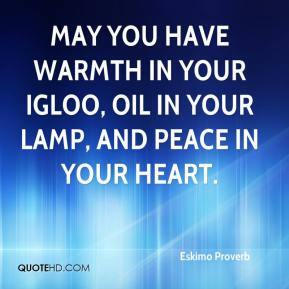 There will be no lasting peace either in the heart of individuals or in social customs until death is outlawed.